"Okay, you can shut if off now..."
You sure he's not DEAD? the man-eating truck strikes once again. 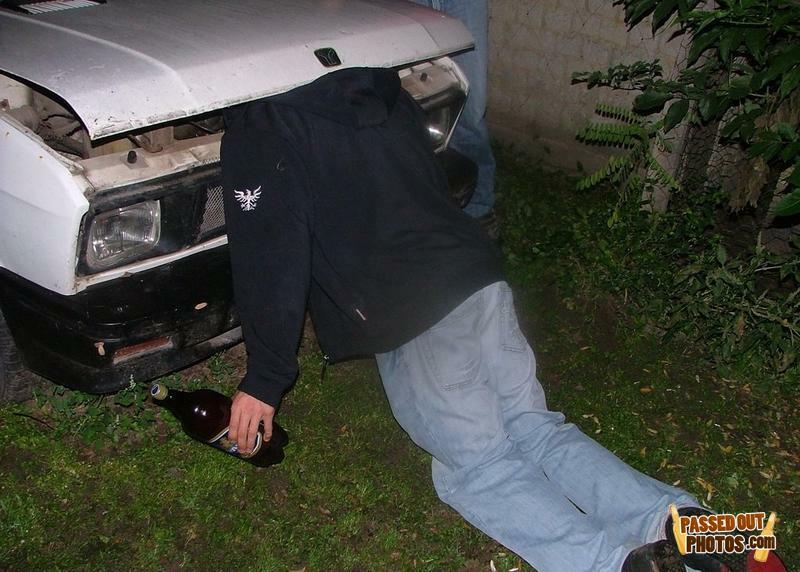 I think i know wath your problem is, you have a drunken dude in your motor. HE COULD FU CKING DIE ARE YOU CRAZY?!?! Look at the dude standing on the side of the truck.... hey buddy can u check my oil? obviesly carmecanic after few beers..
that's weird. when i pass out i let go of my 40. A: Do you want to hear a joke?